They're not bad, they're just drawn that way (or something to that effect). 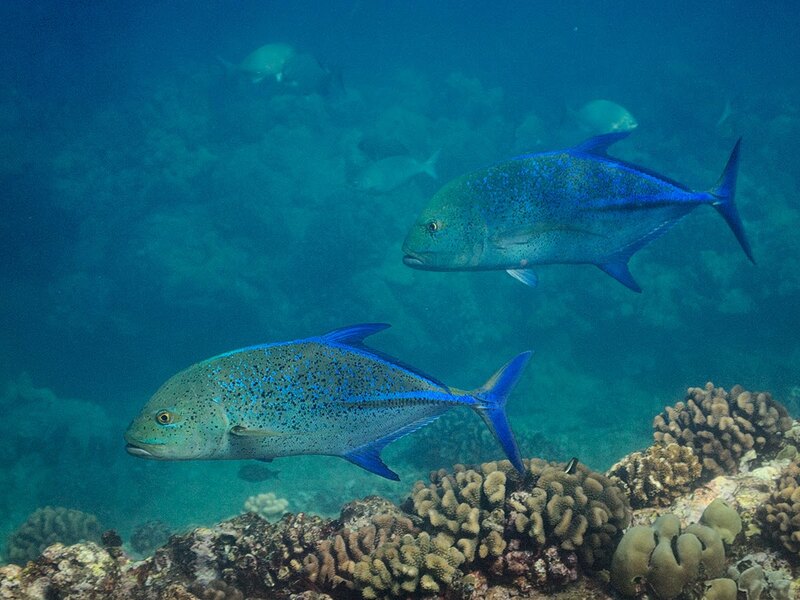 Bluefin Trevally look mean because their mouths turn down, but they are actually nice fish that are curious and smart. Or maybe I'm defending them because my mouth also naturally frowns and I don't want you believing that I'm not a nice person (and if you believe that . . .). Don't Get Between Me and . . .